Core strengthening has been around since the days of yoga, but in the Western world with the advent of new age exercises, it's fairly a recent discovery. 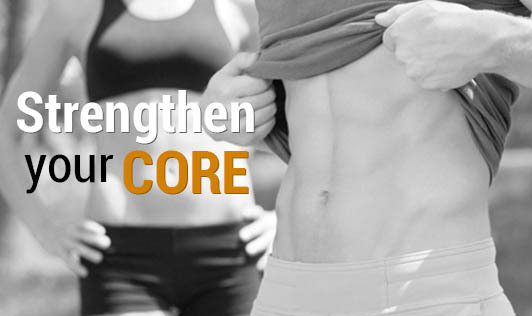 Core of your body refers to the central region, particularly your abdominal area, middle and lower back. Core exercise is not about getting a 6-pack abs; rather it's about making your core muscles (abs, back and pelvic) stronger. Abdominal crunches are an example of core exercise. Other core exercises include 'bridge', 'plank', 'side plank', 'hip lift', squats etc. Sometimes core exercises are done using a 'Swiss' ball or a 'Medicine' ball. Practicing Yoga, Tai Chi can also help in strengthening your core muscles. Helps you reach your fitness goals. Assists in control of bowels and bladder. Helps in easier child birth for pregnant women. Get help from a qualified yoga trainer or a fitness trainer to do these exercises the right way; otherwise you might end up with an injury!